I&#39;ve been using this shampoo around about 5 years - nothing is comparable. Lately I&#39;ve had trouble finding it in stores - HE you better not discontinue this! Great for my natural hair! My hair type is 4a/3c; very coily, thick and dry! I had been looking for a conditioner for long hair... Well, hair that I hope to grow long. I love the slip, scent and the conditioner is reasonably priced. Since I use so much for co-washing, I love the option of having this in a large bottle. My hair feels luxurious!! 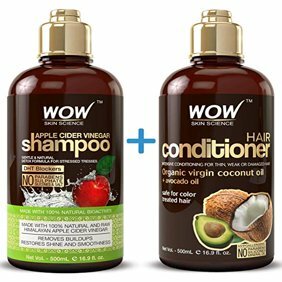 I have very long, very thick hair and this product works wonderfuly. It tames the frizz, has reduced hair breakage and leaves my hair very smooth and shiny for days after, without it being greasy. Would definately recommend to anyone with thick hair and lots of breakage.